ABS-CBN Lingkod Kapamilya’s Bantay Kalikasan, Recreational Outdoor Exchange (R.O.X.) and Investments in Loving Organizations for Village Economies (I LOVE) Foundation joined together to provide sustainable livelihood for communities while preserving the environment. The collaboration is going to support the communities of Tawi – Tawi, Lake Sebu and Polomolok in South Cotabato, Sta. Cruz Islands in Zamboanga, Maramag in Bukidnon, Bulusan in Sorsogon, Upi in Maguindanao and Tublay in Benguet. As a retail company committed to partake in environmental conservation, ecotourism and community development, R.O.X. will provide training and give outdoor equipment worth Php1.5 to Php 2 Million. Mountaineering courses will also be provided to the communities of Tublay in Benguet, Bulusan in Sorsogon, Malaybalay in Bukidnon and Lobo in Batangas. The partnership also extends its support to the Bantay Kalikasan communities of Mt. Guiting – Guiting in Sibuyan Island, Romblon, Mt. Nalayag in Lobo, Batangas and, New La Union Watertubing in Sarangani. I LOVE Foundation catalyzes initiatives that ensure an actively protected, adequately rehabilitated and sustainably managed environment that results in nurturing Filipino communities measured by performance indicators that go beyond economic measures but also include measures in Happiness, Health and Well-being, Peace & Order, and the protection of the Environment. Bantay Kalikasan, on the other hand, is celebrating its 20th year of protecting and sustaining the country’s natural resources through initiating projects such as watershed rehabilitation and management, recovery and recycling of Used Lead Acid Batteries (ULABs) and used oil, advocacy building through Information and Education Campaigns (IEC) and Sustainable Area Development. 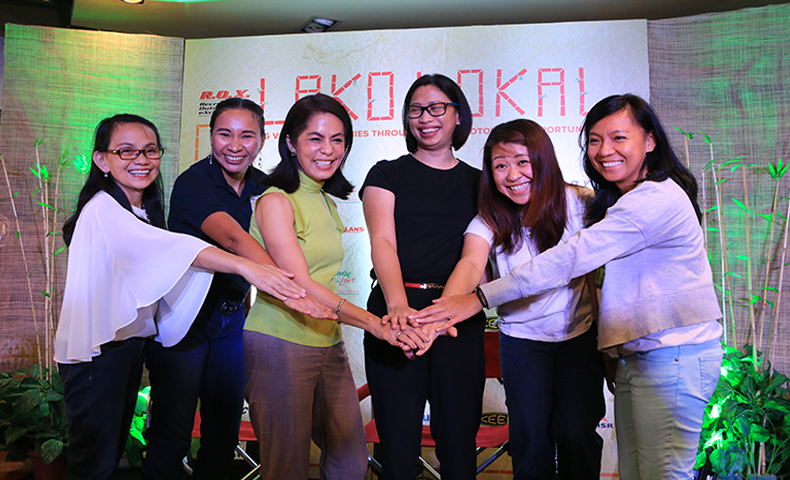 Gina Lopez, Chairman of I LOVE Foundation and Founder of Bantay Kalikasan, firmly believes that creating model communities nationwide and enabling them to be rightful stewards of nature is the key for the Philippines to be genuinely prosperous. I LOVE hopes to address the reality that although the Philippines boasts of a 6.7% GDP growth and is seen to be one of the top 3 fastest growing economies in Asia, the robust growth has not trickled down to the remotest areas of the country. Lopez believes that the strategy to uplift the lives of the marginalized community is through inspiring them and providing them proper mentoring. "We have 7,000 islands with corals and rivers and streams and mountains and volcanoes and in my very biased opinion,the most beautiful people in the world," Lopez enthused. This momentous occasion coincides with the launching of the community – based retail space in R.O.X. BGC where products from supported communities will be for sale. R.O.X., Bantay Kalikasan and I LOVE enjoin different organizations, groups and individuals to help the communities realize their role as stewards of the environment, thus, reinforcing Bantay Kalikasan’s battle cry: Every Filipino is an Earth Warrior. Visit https://www.facebook.com/questforloveph/ for more details.